The novels written by Cormac McCarthy always have haunting aspects with exquisite words that explore human nature while streaming the stories through your imagination in beautiful visions that starkly contrast with the depictions of gruesome violence. Translating his vision to the big screen has not always been easy, but with his first original screenplay the writer has taken more control of his story in the film medium. In The Counselor, McCarthy, veteran director Ridley Scott, and a well-rounded cast present a powerful drama about moral dilemma and the inevitable path we create for ourselves when we make choices. First, this movie is not about the ins and outs of drug trafficking or its societal impact. Instead, it focuses on Counselor (Michael Fassbender) and his choice to get involved in a one time drug deal that will set him for life. We learn that he has significant money problems, but we don’t know why and we don’t even really know what the deal involves or the names of the cartel. That is not what is important to the story. While considering the deal, we meet the various characters his decision will effect. His fiancee Laura (Penélope Cruz) who knows that he must be involved in something unsavory, but she chooses not to dig too deep to know precisely. 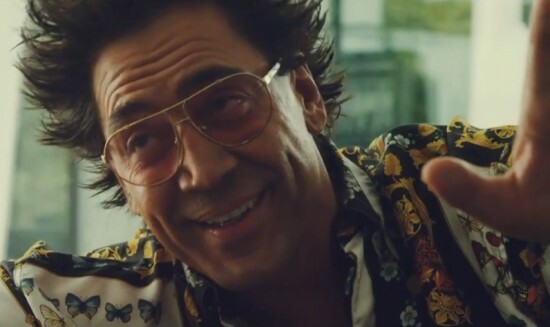 Reiner (Javier Bardem) is an eccentric client entrenched in the drug world and attracted to smart women he can’t trust. His flavor of the moment is Malkina (Cameron Diaz), a woman who enjoys playing mind games with every one she meets. 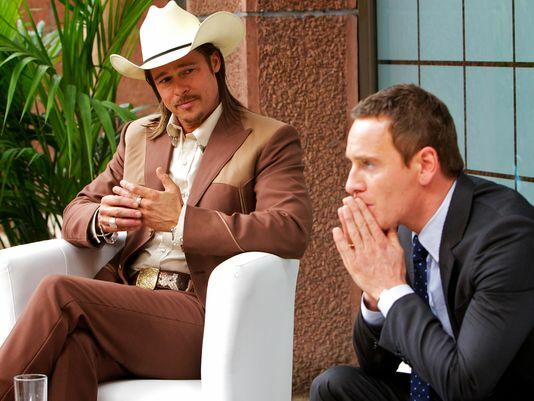 Westray (Brad Pitt) plays the deals plain speaking cowboy of a middleman. As Counselor discusses the deal with Reiner and Westray both continue to prod and measure him. They have assessed him as someone who has moral reservations about this deal and wonder if he truly accepted what it means to become involved in this world. In vague yet pointed discussions, they explain how bad it can get, but they do not plead with him. No matter their warnings, the Counselor’s reservations are overcome by his need for money, and he signs on to the deal. The inevitable happens and the deal is affected in a way that seems to be directly related to the Counselor, and now he, his fiancee, and those involved in the deal with him must find their own ways to try and escape the ire of an unknown cartel. If you’re a Grisham fan and used to the wily lawyer finagling his way out of a mess and confounding the bad guys, you should pick another movie…just know that things go badly. In every way he writes this screenplay, McCarthy works to make the decisions and their consequences the main point of the movie. The characters only have first names and no back stories. The characters are detached and Counselor rarely deals with more than one person at once. It is a movie of one-on-one conversations – each revealing a little more about the story and its intent and giving the character a moment to translate their view of the morals of the story. You have to assess who is accepting of their choices, who doesn’t understand their choices, and how do their different sets of value and morals serve them. Pay attention to the conversation between Counselor and Jefe (Rubén Blades) – it is filled hard truths that are softly and carefully explained. And though it is deeply set in these intense discussions, The Counselor is still brings some suspense and action. We never know the enemy until it seemingly appears out of nowhere to execute their own form of justice. At times, Scott was a little heavy handed in spelling out certain consequences, but ultimately he seems to have inserted enough action to propel a story that is all about the lessons and the discussions. When all is said and done, each person has followed the path their decisions have created and we are left wondering who is the real protagonist of the story. Ultimately, this may be a movie that only translates to fans of this kind of storytelling and a movie that is more intent on reason than it is on the actions. With that in mind, I’m still giving it 4 stars out of 5. This entry was posted on Friday, October 25th, 2013 at 9:52 am	and is filed under Film, News. You can follow any responses to this entry through the RSS 2.0 feed. You can skip to the end and leave a response. Pinging is currently not allowed. « NBC Is Rebooting ‘Murder She Wrote’ With Octavia Spencer Starring!! !